Microsoft has been dealing with a lot of leaks leading up to E3, but as it turns out, the two biggest seem to have become a reality. 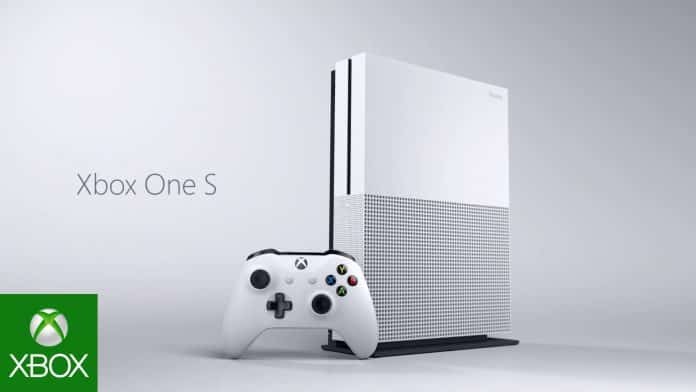 Microsoft will be releasing a sleeker version of the Xbox One, called the Xbox One S.
The Xbox One S is pretty much what you’d expect; it’s smaller, lighter, and it comes with a few minor improvements. It’s a smaller, (arguably) cheaper version of current Xbox One consoles. The version of Xbox One S that was shown off at the beginning of Microsoft’s conference will retail for $299 with a release date of August, and, apparently, not include a controller. That kind of defeats the purpose of picking up the new and better version of an existing console, no? That wasn’t the only new piece of hardware that Microsoft announced, though. As rumored, they were in fact working on an upgrade that would allow for better compatibility with virtual reality and 4K. Even the name Project Scorpio stuck, which is odd given manufacturer’s tendencies to develop consoles under code names. Likewise, the specifications for Scorpio matched what earlier reports had revealed. During the press conference Microsoft referred to it as “the most powerful console ever”. It will run at 6 teraflops, and feature a new GPU with increased power and speed. A number of developers appeared in a clip beforehand talking about Project Scorpio, including Todd Howard, who teased virtual reality support for the console. While Xbox One S will be available in August, Project Scorpio is shooting for a Holiday 2017 release. Microsoft promises all consoles will be able to run games on equal footing, but only time will tell whether or not they’ll hold to that. Are you thinking about picking up one of the new Xbox One consoles? Let us know in the comments, and be sure to stay tuned to SGO for more news from E3 2016.